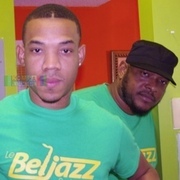 BELJAZ VIDEO INTERVIEW "SE POU YON LION TONBE NAN MIAMI AN...POU BELJAZ PASSE" (HMI VidNews #54)....WATCH! BELJAZ VIDEO INTERVIEW "SE POU YON LION TONBE NAN MIAMI AN..POU BELJAZ PASSE" (HMI VidNews #54)....WATCH! *BELJAZ VOCALIST MAKES EYE OPENING STATEMENT IN FLORIDA HMI MARKET ALERT!